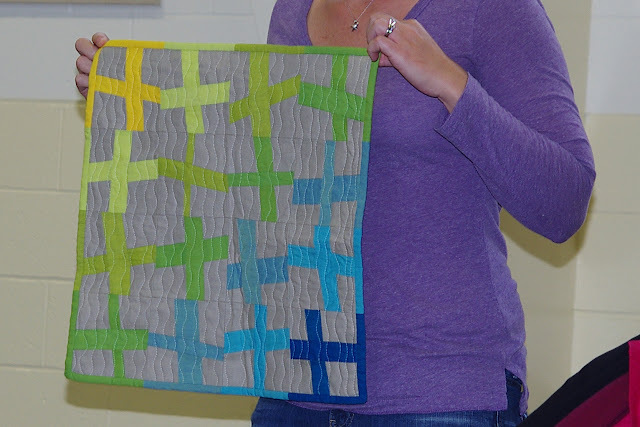 Today we held our very first Seacoast Modern Quilt Guild and had a great turnout of about 22 people! After completing surveys, we concluded that Sat. mornings were best for meetings. We decided to meet on the first Saturday of each month. Taking our cue from the BMQG, we will charge $36 dues for a year. Becca (Sew Me a Song) has offered to open the bank account so she will do that within the next couple of weeks and we will get a second person to sign on the account as well. A few members are looking into the specifics of using meeting rooms in their libraries, condos, etc. for future meetings so that we can have some meetings in southern NH. We decided to hold off until January to vote on officers to allow everyone to think about what role they would like to play in the guild and to get to know everyone. We talked a bit about our meeting on November 3 from 1-3 (same location) with Alissa Carlton. A number of people volunteered to bake fall snacks and bring apple cider for refreshments. Please feel free to bring show and tell again in case Alissa wraps up early with time to spare. Otherwise, we can save the items till December. We will plan to meet in the same location again on Dec. 1 from 10-noon provided the room is available (will confirm soon). We thought we'd just have a sew in that day in order to get to know each other Please bring your sewing machine or hand sewing projects. A couple of members volunteered to bring refreshments. Our assignment is to all make creative nametags for this meeting. We will also have an ugly FQ swap so bring your worst. Then we moved on to show and tell. 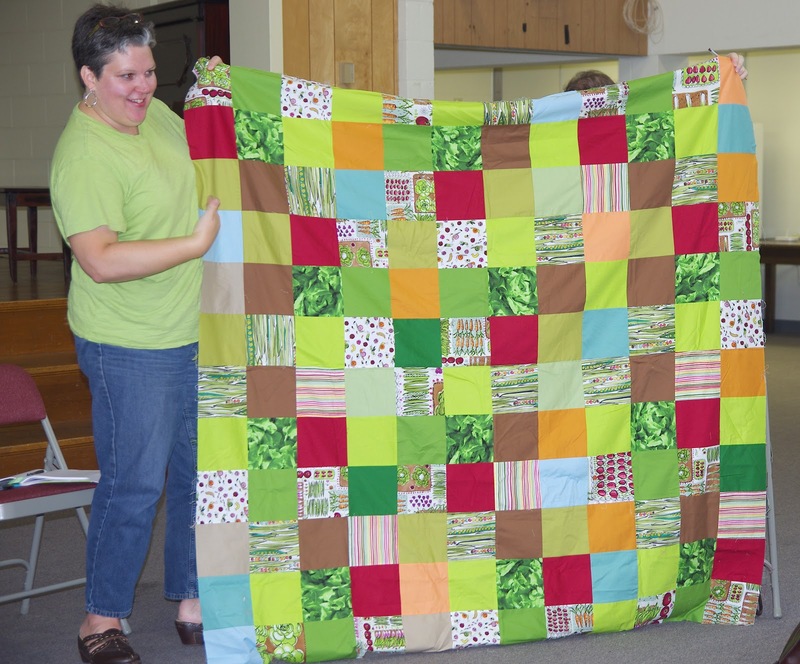 Here is Peg with her garden patchwork quilt top. These blocks are all variations on the log cabin, made by Samantha. She is trying to decide how she will put them together! These are also Samantha's logcabins, intended for her bed quilt. 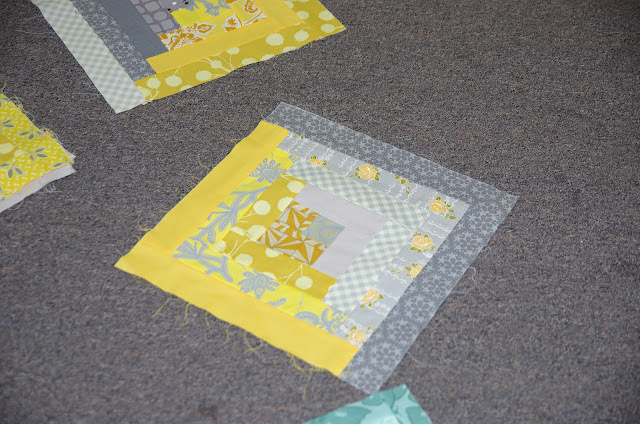 This is a quilt top in progress made by Robin. 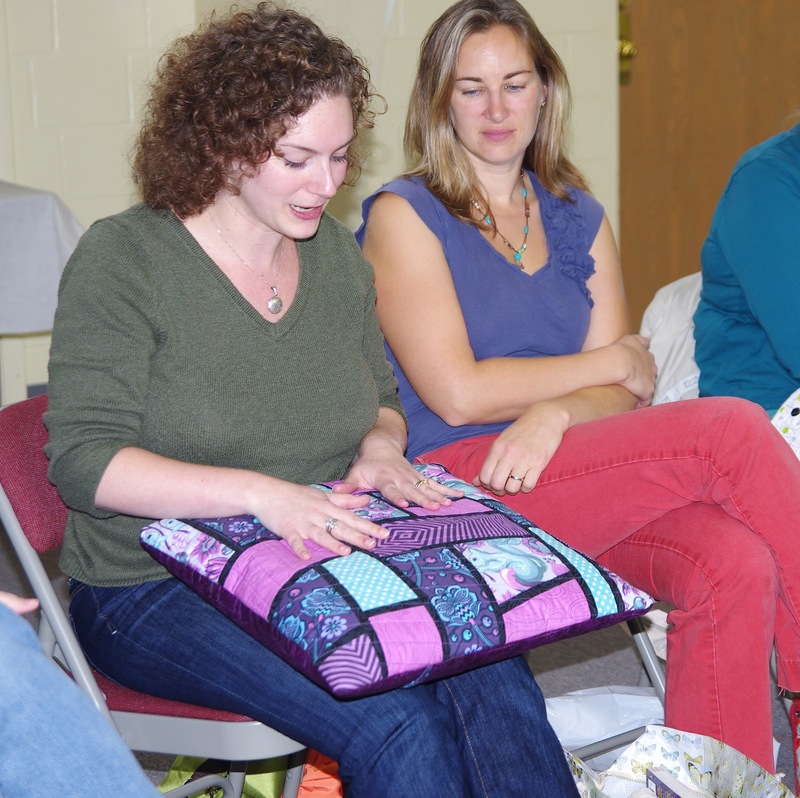 Here is Stephanie showing one of her new pillow covers using the mod mosaic design. 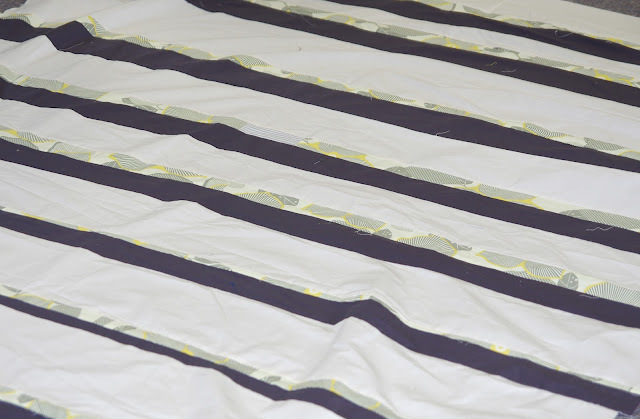 She's been practicing her free motion quilting. This is a sweet baby quilt made by Samantha for her cousin's baby. She did a great job on the woodgrain FMQ. 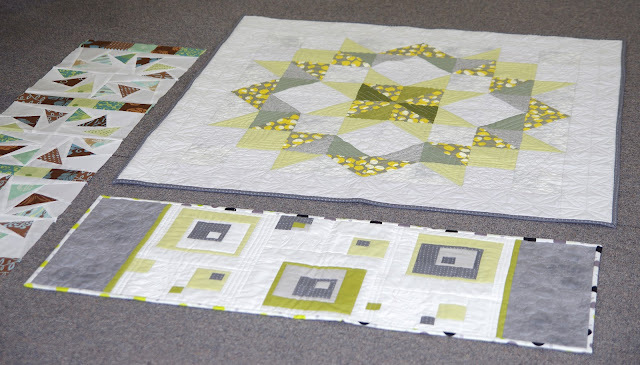 These projects by Diane were a part of an online course she took with Angela Walters. Laura shared her Spinning Stars quilt top that she is in the process of handquilting. Nancy made this Swoon quilt top for a friend's baby. The mom doesn't like pink, imagine! 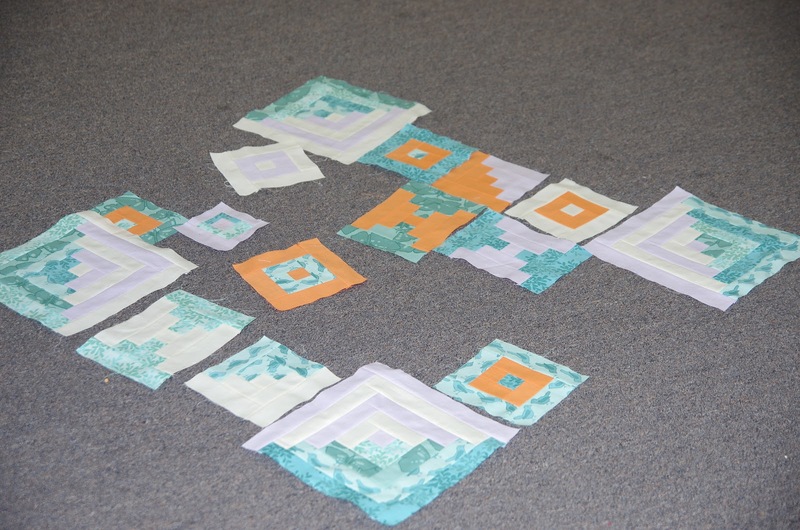 Lisa is working on a long term scrap quilt project intended for her bed. 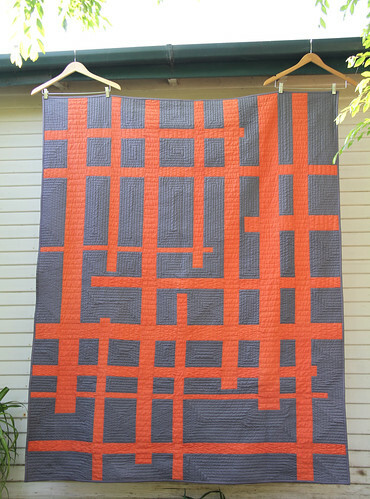 Gillian just finished up this quilt using Anna Maria Horner's Feather Bed pattern and voiles. 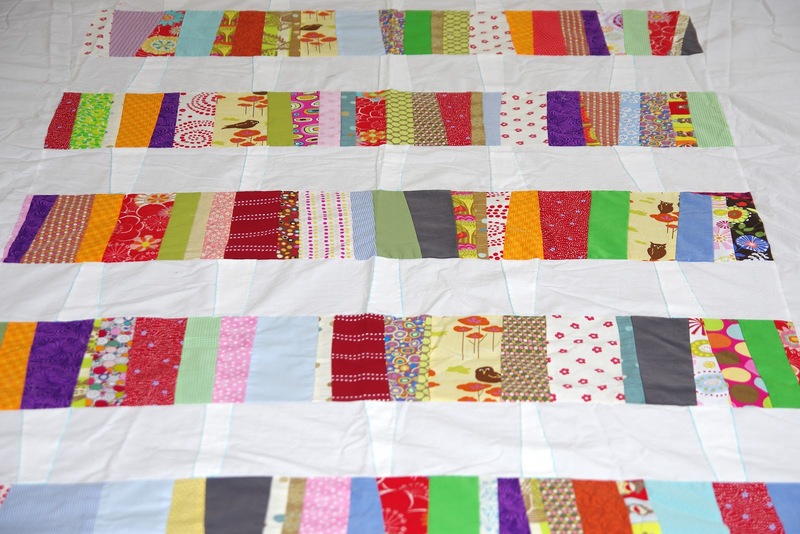 Aimee made this plus mini quilt using her shot cotton collection. 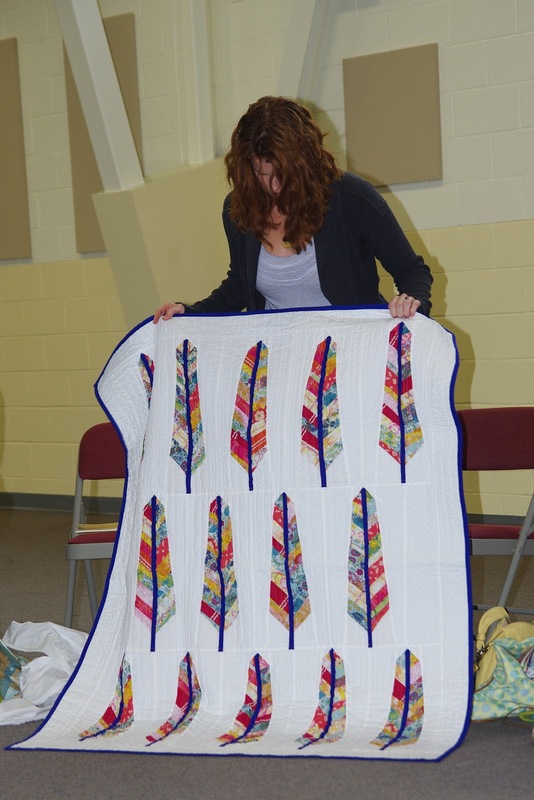 Notice how she pieced that binding! Then we distributed the door prized and chatted a bit. Thanks everyone for the great turnout! Here are some more doorprizes for our meeting this Saturday. These charm packs are brought to you by Becca from Sew Me A Song--Marmalade and Odds and Ends! Don't forget to bring your show and tell! What have you been sewing lately? WIPs are ok too! I just realized that I needed to alert you to the fact that the Rocks Village Bridge is closed for repairs. It connects Haverhill to West Newbury. If you are travelling to the meeting from 95N or 95S and your directions tell you to take the exit for route 113, you do not need to worry about this. If you are coming from 495N or 495S and your directions have you get off the exit for route 110, you will want to take an alternate route. You can take any of the other Haverhill exits and use the Bates Bridge that connects Haverhill to Groveland and travel up route 113 that way. If you have any trouble figuring this out, email me and I will help. Door Prizes to Tempt You! 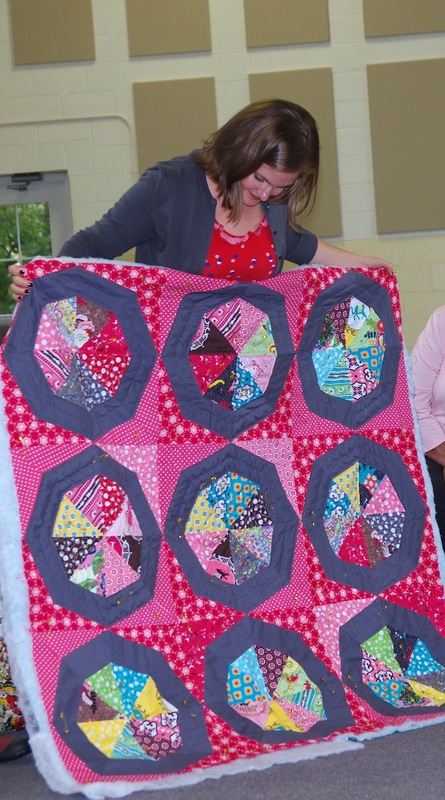 The lure of a new modern quilting guild starting up in the Seacoast area should be enough, but if it isn't we thought we'd tempt you with some door prizes! Lucky winners at the first meeting, will each take one of these prizes home with them! 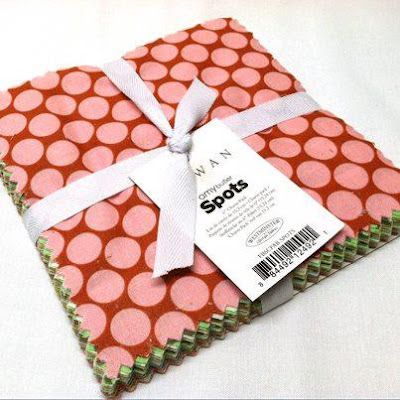 Sew Fresh Fabrics is offering a charm pack of Amy Butler Spots! What a fabulous basic. During Quiet Time is offering a package of fifty die cut hexagons, cut from cardstock, for English Paper Piecing. 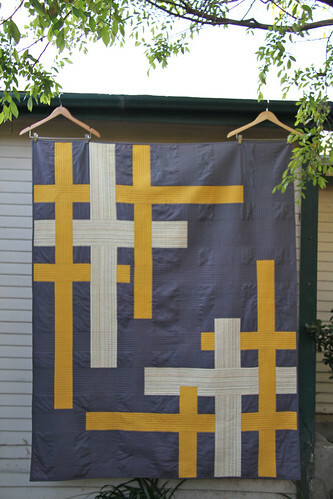 You could also win a BasicGrey 11" x 14" Canvas Sampler. They are fun to design, using bits of your favorite papers or fabrics as well as buttons and other embellishments. 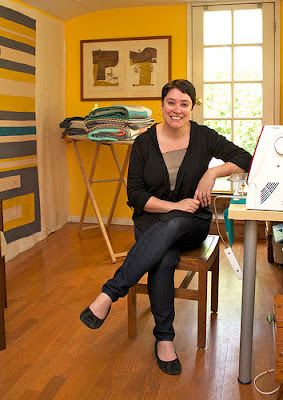 I believe that there is also a giveaway coming from Sew Me A Song. You just might have to come to the meeting to see what it is! Remember, the meeting will be held on October 20, 2012 from 10-12 in the morning at the West Newbury Town Annex located at 381 Main St., West Newbury, MA 01985. The main building will say "1910 Building." 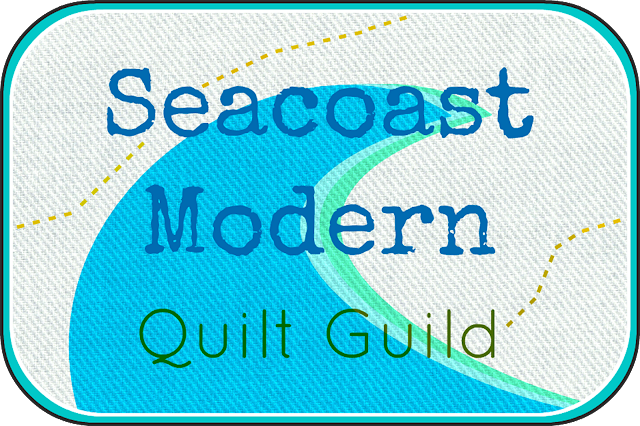 We will be meeting toward the rear of the building--there will be a Seacoast Modern Quilt Guild Sign. Additional parking is behind the building. We (Peg, Becca and Amy) can't wait to meet you! Alissa Haight Carlton, the co-founder and Executive Director of The Modern Quilt Guild and author of two modern quilting books, Block Party and Modern Minimal, will be visiting family in New England and has agreed to spend a bit of her vacation speaking to our guild! 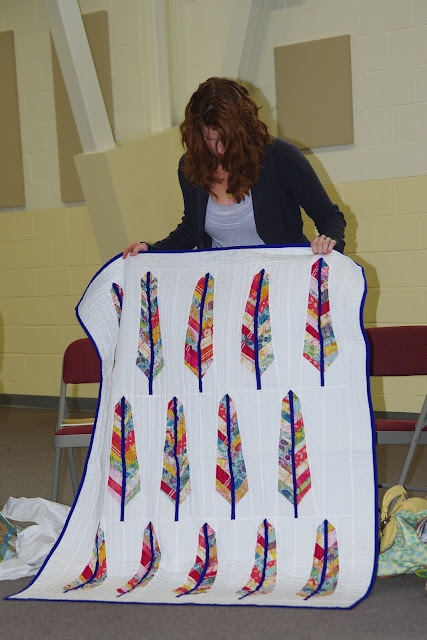 Alissa may not be able to bring many quilts with her as she will be travelling on airplanes with an infant and all the baggage that requires! So come prepared with lots of questions to ask her about her inspiration, her experiences, etc. 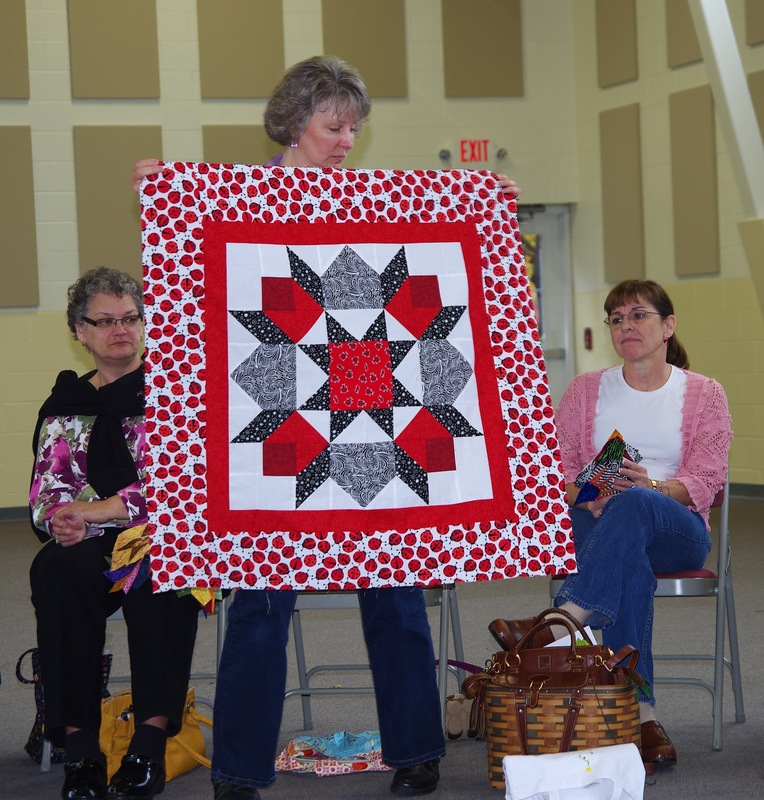 This special meeting will be open to all paid members of the Seacoast Modern Quilt Guild (you may pay at the door the day of the event). 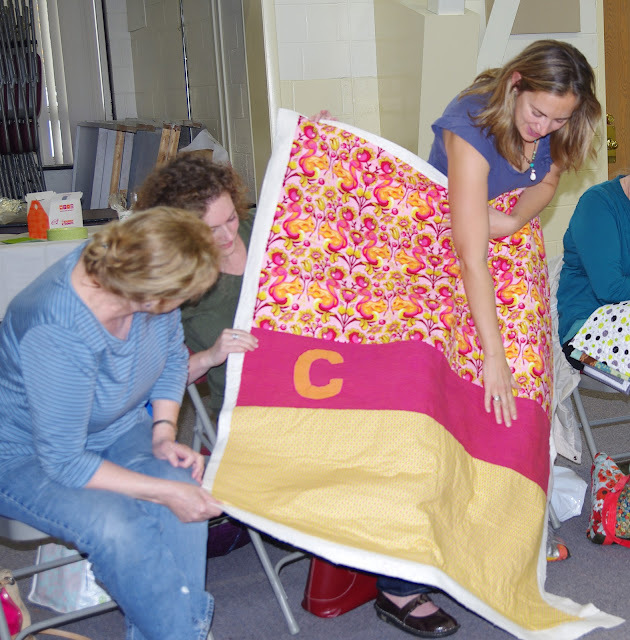 We are also extending the invitation to all paid members of the Boston Modern Quilt Guild. The event will be held on Saturday, November 3, 2012 at the Town Annex located at 381 Main Street, West Newbury, MA 01985 from 1:00-3:00 in the afternoon. There is parking in the front lot as well as behind the building. We'd like volunteers to bring baked goods and drinks to the meeting. Please email me if you are willing to help at amybfriend@gmail.com.